Your ads are being clicked on. Your emails are being clicked on. Every click is a promise you’ve made to your visitor. How can you keep that promise? That is the job of the Landing Page. Get the visitor to take an action that moves your business forward. This checklist will free you of the burden of having to create a landing page. It will guide your designer and developer toward a landing page that that delivers the leads, subscribers and sales that your online business deserves. 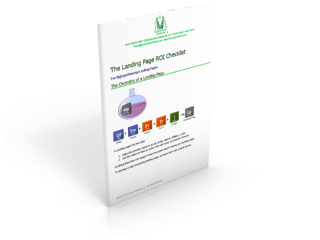 Download the Landing Page ROI Checklist available free from the website optimizers at Conversion Sciences. Go ahead an download it now. Download your FREE Landing Page ROI Checklist.